I think the image is very well done Susan and fits well with the old trucks. 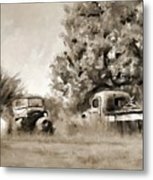 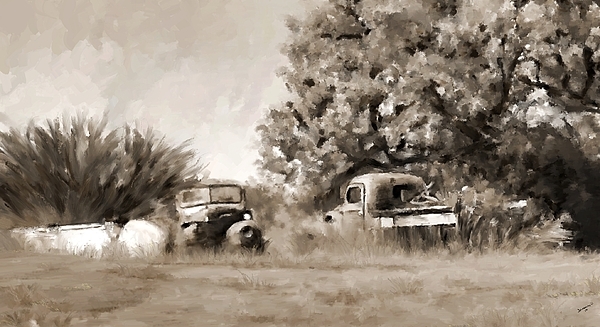 This is hand painted with Corel Painter using water rake, caulk, burn and a few other brushes I can't remember :) But I love these junk cars/trucks sitting in fields. 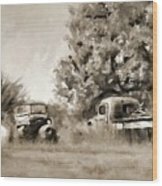 These old-timers sit out near Cascade Mt.